Winter snow clearing Services: Did you know? Rockland may be better known for landscaping supplies but we also offer commercial snow removal services in the winter! 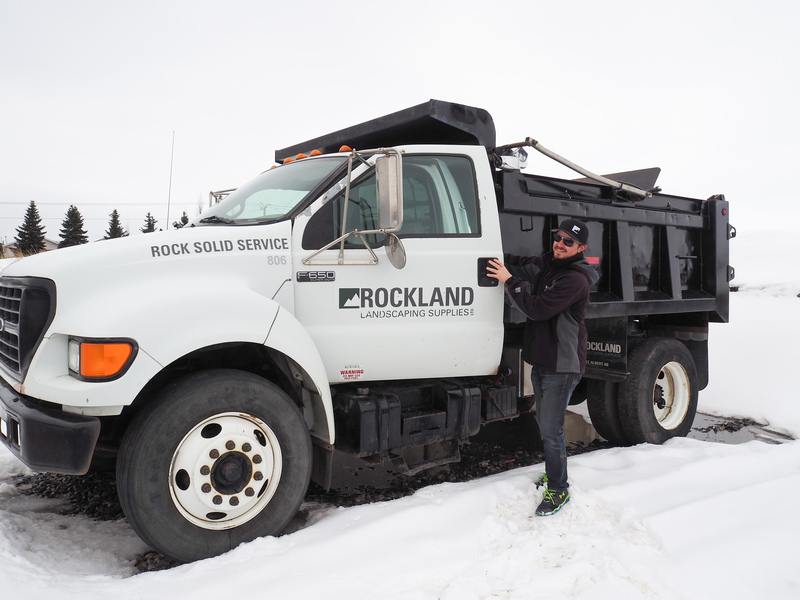 With a large fleet of trucks and equipment, Rockland is committed to providing snow removal, ice management, and sanding services for businesses in the Edmonton Area. Rockland offers many options to suit your needs such as on-going full site management with snow clearing, de-icing to prevent ice build up in parking lots and side walks, salting, sanding and 24-7 monitoring. Sidewalks will be clear of snow and accessible for staff or customers thanks to snow blowers and salt. Parking lots will be cleared down to the pavement by our fleet of graders. Snow will be moved and loaded with our skid steers and loaders. Your parking will be clear of massive piles of snow as Rockland dump trucks haul away snow after plowing. Prevention of ice build up with our calcium chloride de-icing mixture prior to snow falls. Parking lots and sidewalks will be kept safe with gravel, sand, and/or salt to prevent slips or accidents. Sidewalks and parking lots to be clear of gravel and debris with our sweeping services once the long Edmonton winter ends. Why book commercial snow removal services? A monthly contract provides additional insurance and peace of mind over a one-time snow removal service by monitoring conditions of all roadways and parking lots within the designated site. Put our well-maintained fleet to work for you! Rockland has all the equipment to complete any size of job you require. Contact us and let us take care of your snow removal needs.